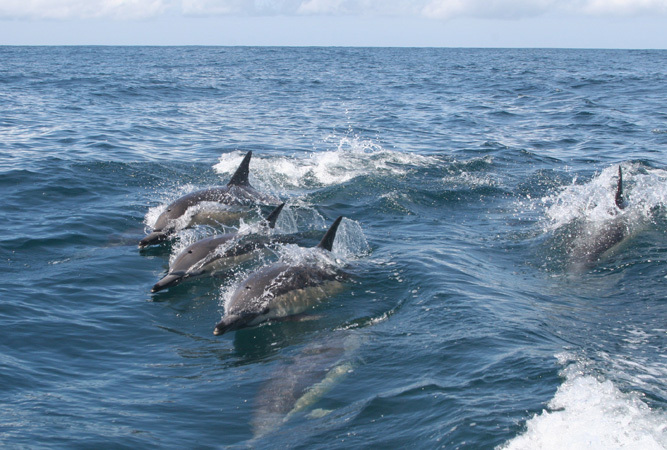 South Africa’s Garden Route stretches from Mossel Bay in the Western Cape to Storms River in the Eastern Cape. For those who don’t already know it has nothing to do with manicured gardens, and everything to do with the heady natural beauty that combines ancient indigenous forests, mountains that crowd a shoreline littered with sandy beaches and bays, and a feast of little towns. Good access points to the Garden Route include Cape Town and George. If you are driving from Cape Town then the route between the Mother City and Mossel Bay is as riddled with great stops (Hermanus, Gansbaai, L’Agulhas, De Hoop Nature Reserve, Still Bay) as the Garden Route. Mossel Bay is a surprise. From the N2 it might look dominated by Mossgas’ oil refineries and light industry, but head into the Old Quarter (towards the Point and Cape St Blaize), and the part of town east of the harbour could be mistaken for Simon’s Town. There are coffee haunts (Baruch’s Coffee roastery is a must! ), the Blue Shed (another coffee roastery perched above the harbour), two blue flag beaches (De Bakke and Santos beach), a stream of vintage, antique and secondhand shops, and a series of historical buildings that will have you drooling. George is big enough to function as a city and it’s probably your best bet if you need to stock up on food as all the major South African chain stores are in town. Its setting is enviable – in the shadow of the Outeniqua Mountains. Best of all you get the best of both worlds – mountains and sea – as Herolds Bay and Glentana are within easy reach. Blink and you might miss one of the Garden Route’s most photogenic moments – the Kaaimans River crossing. The N2 crosses the river en route to Wilderness in a sweeping bend through the river gorge and if you’re looking in the other direction, up at the mountainside, then you’ll miss the pretty historic cottages that lie on the other side of the river, canoes pulled up on the river bank (the cottages are accessible only by boat). Lower on this same river, at the mouth, is a famous train bridge crossing. The river is great for whitewater kayaking and hiking. Only 10 km from George, Victoria Bay is a small beach just before Wilderness, one of the better surf spots with a grassy knoll on which to sit. Enclosed by cliffs a few pretty cottages cluster the waterfront, and the gently sloping beach is great both for swimming and surfing. It has its own tidal pool, boardwalk and jetty and a series of natural paddling pools in amongst the rocks. Great downtime for the whole family, but busy during the festive season. Wilderness, on the other hand, is one of the must-stops of the Garden Route. It is a series of beaches, natural lakes, bird-rich estuaries, lagoons and effortlessly long beaches that combine into a wilderness enjoyed by visitors in the form of hiking, horse-riding, hang gliding, paragliding and wonderful drives. Even the homes and town centre manage to blend into the surrounding hills. Make sure to drive to the viewpoint at Wilderness Heights to see the ‘Map of Africa’. Take the short but very steep Heights (Hoogte) Road from the town of Wilderness to get to the viewpoint. It’s difficult not to love Sedgefield. Myoli beach alone is worth driving here for. And it’s one of five beaches set behind the lagoon and sand dunes. From Swartvlei to Platbank is a stretch of six kilometres that one can stroll as long as it is low tide. The lagoons are wonderful for SUP and kayaking, and the town is a quiet and gentle retreat from it all. 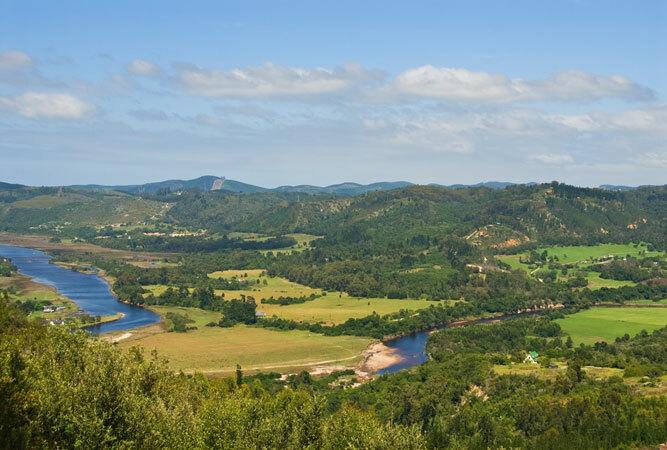 Just around the corner from Sedgefield, make time to stop and hike in Goukamma. This scenically rich reserve is not well known, but is well worth a stop. 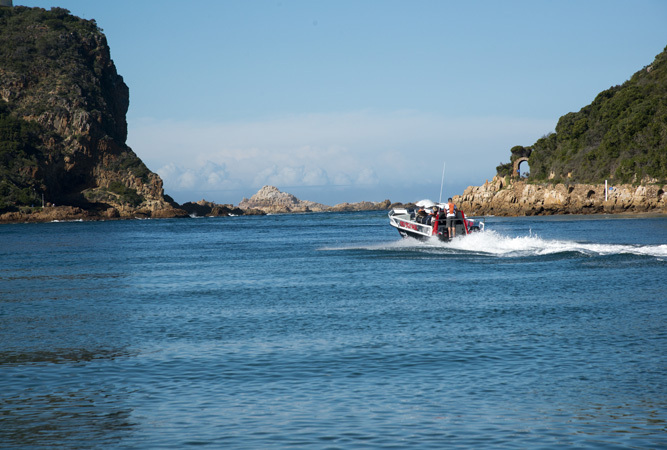 Other than Storms River Mouth, Knysna is the Garden Route’s darling. Life revolves around the lagoon, connected to the Indian Ocean through the channel on either side of which is a famous sandstone cliff. They’re known as The Heads (a boat ride will take you to see them). Walk the Knysna forest and ignore Brenton-on-Sea and Noetsie at your peril. 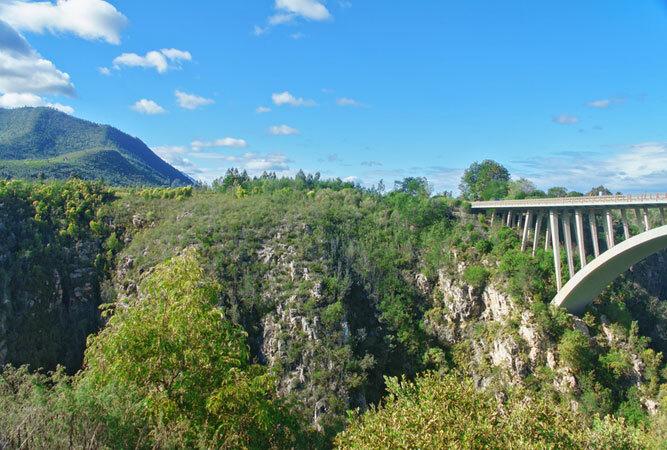 Well known pass builder, Thomas Bain, along with his brother-in-law, Adam de Smidt, built a route that is a series of interconnected mountain passes linking the towns of Knysna and George. You can drive them from either end, or simply drive the portion between Wilderness and Plettenberg Bay (note: not all of the passes are tarred). But drive them you must, as the route is indescribably beautiful. Plettenberg Bay is one of the highlights of the Garden Route and the playground of Capetonians who exchange city life for beachside living. 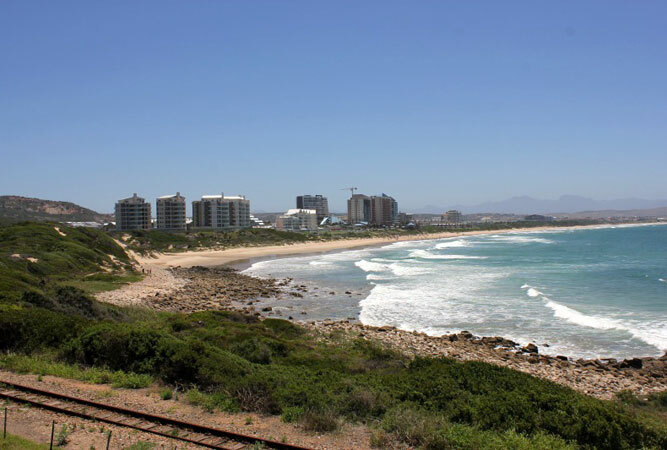 The beaches are incredible, Robberg Nature Reserve provides wonderful hikes, you can cruise the Keurbooms River Nature Reserve, swim with seals and visit The Crags and Monkeyland. But be warned: over December/January the town’s population swells to almost four times its usual number. 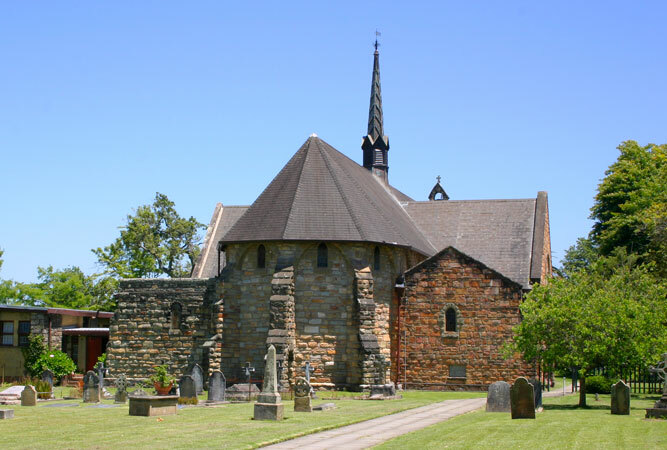 This is the one space in which you can still retreat on the Garden Route. To reach this once inaccessible valley, until Thomas Bain built a road through the mountains, head down the Grootrivier Pass (R102). The small village lies in the foothills of the Tsitsikamma Mountains on the banks of the Groot River, which meets the ocean at a wild beach. You won’t want to leave. This quaint little coastal village lies surrounded by the Tsitsikamma National Park, which protects the rugged coastline and Storms River Mouth. It’s a beautiful place to spend a night or so whilst visiting the Big Tree, taking the Tsitsikamma Tree Top Tour, blackwater tubing down the river, and sitting on the deck at Storms River Mouth.